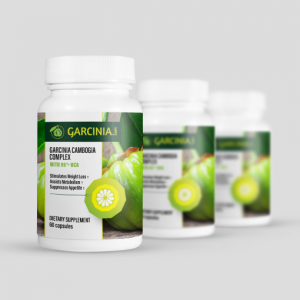 Garcinia Cambogia Side Effects: Liver Problems? Sometimes, weight loss supplements are connected to a range of side effects. One supplement that’s been linked to some pretty scary side effects is Garcinia Cambogia. But, the reality is — it’s difficult to say whether the supplement contributes to liver problems and other issues, or if it is just an ingredient in a product that causes a variety of side effects. Garcinia Cambogia Side Effects: Liver Failure? Concern about Garcinia Cambogia and its effects on the liver stem from a few cases involving the weight loss supplement HydroxyCut. At the start of the 21st century, Garcinia Cambogia was a primary ingredient in HydroxyCut. Around that same time, several cases were reported of people taking the supplement and suffering from severe liver problems. In one example, published in the Annals of Medical and Health Sciences Research, a 27-year-old man who was in the process of becoming a personal trainer presented at the hospital with signs of acute liver failure. The man had been taking HydroxyCut. After treatment, doctors told him to stop taking the supplement and to follow up with the hepatology department. In another instance, reported on in the Annals of Hepatology, a person who had been taking supplements containing Garcinia Cambogia ended up requiring a liver transplant. The seeming connection between HydroxyCut and other supplements containing Garcinia Cambogia led the FDA to issue a warning concerning weight loss products and the potential for side effects such as liver damage. Does Garcinia Cambogia Harm the Liver? 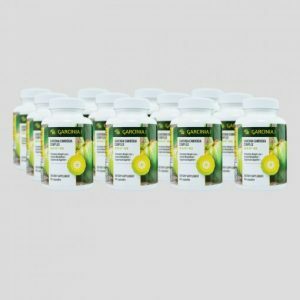 It’s worth pointing out that it is difficult to prove if a connection between garcinia cambogia side effects and liver damage exists. Supplements in the US are unregulated by the FDA or any other agency. That means that it’s possible for them to contain more ingredients than they claim. Those ingredients could be potentially harmful. For example, in an analysis of a few herbal weight loss supplements, including those containing Garcinia Cambogia, the FDA found that some of the products contained unlisted, active ingredients. Some of the ingredients were the same as those found in prescription medications. In the case of HydroxyCut, it’s unclear whether it was the Garcinia Cambogia in the pills that contributed to liver problems or another ingredient. Regardless, the manufacturer of the supplement briefly took it off of the market. It reappeared later, reformulated without Garcinia Cambogia. Further complicating the issue is the fact that a few studies have suggested that Garcinia Cambogia has no adverse effect on the liver. One study, published in the World Journal of Gastroenterology, argued that hydroxycitric acid, the compound in Garcinia Cambogia that is thought to help with fat burning and appetite suppression, didn’t contribute to liver toxicity or inflammation of the liver. In fact, that study suggested that hydroxycitric acid could do as much as protect the liver from inflammation. It also suggested that the compound could have a protective effect on the liver or no effect at all. Liver issues aren’t the only potential side effects of taking Garcinia Cambogia. The supplement has been linked to several other potentially adverse effects. Understanding what those adverse effects are and who is likely at risk for them can help you protect yourself and ensure that you are taking the supplement wisely. One of the positive benefits of Garcinia Cambogia is that it can help the body better regulate glucose levels. 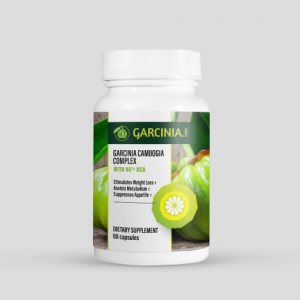 According to WebMD, one study involving mice found that those who were given the supplement had lower insulin levels than mice who didn’t receive Garcinia Cambogia. That can be good news for people struggling with diabetes. But, on the flip side, that ability to regulate glucose levels in the blood and to reduce insulin levels could hurt people who are taking medication to control their diabetes. Mainly, combining Garcinia Cambogia supplements with certain blood sugar controlling medicines can make the blood’s glucose levels drop too low, putting a person at risk for hospitalization. Another of Garcinia Cambogia’s potential benefits could also be a disadvantage for some people. The supplement is thought to affect cholesterol levels. It can lower levels of triglycerides and LDL cholesterol, which is the so-called “bad” cholesterol. At the same time, it is thought to improve levels of HDL cholesterol. An issue arises for people who are currently taking a statin or other medication to improve their cholesterol levels. The active ingredient in Garcinia Cambogia could interfere with those medicines. Garcinia Cambogia might also present a problem with people who have Alzheimer’s or other forms of dementia. The supplement is thought to increase levels of acetylcholinesterase, an enzyme that inhibits the neurotransmitter acetylcholine. Meanwhile, the medications people with various forms of dementia take are supposed to reduce the level of acetylcholinesterase in the brain. The active compound in Garcinia Cambogia might also interfere with the body’s ability to absorb and use certain minerals, including iron. That can present a problem for people who have anemia and need to take iron supplements. The compound can also interfere with the body’s ability to absorb and use potassium, calcium, and a few other minerals. One of the ways that Garcinia Cambogia is thought to help people lose weight is by suppressing appetite. It does that by raising the levels of serotonin produced by the brain. Serotonin is a neurotransmitter that plays a role in regulating mood. When people have lower than normal levels of the neurotransmitter, they are more likely to be anxious or depressed. But increasing levels of serotonin isn’t necessarily a positive thing. In some cases, it can contribute to mania. When a person is manic, he or she might be overly excited or experience delusions. There have been a few cases in which taking Garcinia Cambogia has been linked to mania, according to Consumer Reports. It’s important to note that in two of the three cases discussed by Consumer Reports, two of the patients who became manic also had a history of bipolar disorder, which contributes to dramatic swings in mood. Only one of the people had no history of mental illness. The Consumer Reports story noted that the patients did see their symptoms ease up after they stopped taking the supplement, but that there was no way to say for certain how much the Garcinia Cambogia contributed to their symptoms. Can You Safely Take Garcinia Cambogia? 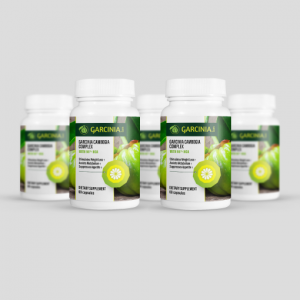 Concerns about liver failure and other severe liver problems, plus concerns about a range of other side effects might cause you to wonder if you can safely take garcinia cambogia. While the supplement has been connected to a few unpleasant side effects, it is possible to take it safely. First, it’s important to choose the supplement you take wisely. Not all forms of Garcinia Cambogia on the market are the same. Some contain fillers and other ingredients, which could potentially increase the risk of side effects or cause interactions that can make you sick. When looking for a supplement to take, read the ingredients list closely. Avoid any brands that seem to have a lot of added stuff in them. Choose a Garcinia Cambogia product that contains between 50 and 60 percent hydroxycitric acid (HCA). A supplement with a lower level of HCA won’t be as effective as one with at least 50 percent HCA. It also helps to look at the dosage and instructions on the Garcinia Cambogia packaging. Generally speaking, you want to avoid taking more than 1,500 mg of Garcinia Cambogia per day. You also want to avoid taking it for more than 12 weeks, for the most part. It’s worth noting that Garcinia Cambogia is meant to be a supplement. That means it shouldn’t be the only tool you use to help you lose weight. Often, you’ll get the best results if you combine the supplement with a healthy diet and an exercise routine. Most importantly, you’ll want to talk about taking Garcinia Cambogia with your doctor if you’re already taking any prescription medications or other vitamin or mineral supplements. Remember that Garcinia Cambogia can interfere with or extend the results of a range of medications, including cholesterol and diabetes drugs. If you do feel any side effects from taking the supplement, it’s a good idea to stop taking it and discuss your experience with your physician. What you’re experiencing could be from the Garcinia Cambogia, but it’s also possible that you’re experiencing symptoms caused by something else in your life. Previous articleDoes Garcinia Cambogia Really Work? Get the Facts!